Discover pipe corrosion in inaccessible areas. Pipes are renowned for corroding in inaccessible areas. Whether underground or above ground, these areas may often go unnoticed. Our API 570 certified inspectors carry out pipeline integrity inspections using multiple techniques including visual checks and Long Range Ultrasonic Thickness surveys (LRUT) and provide a complete report of the piping system, highlighting any issues that require attention. Using specialist technical equipment, our pipeline integrity service includes the recommended inspection interval, next inspection date and remaining life calculations based on design, remaining wall thickness and inspection codes. Welds can be checked using Magnetic Particle, Dye Penetrant & Eddy Current Techniques. We will ensure that your pipelines meet all standards, using ultrasonic waves to locate any issues and the size of those issues. Please select a service below for more information. Alternatively, our team will be happy to answer any queries you may have. Our certified API 570 inspectors will cover the inspection and reporting for metallic and FRP piping systems and their associated pressure relieving devices. Where repairs need to be made a follow up post repair re-inspection will be required. With each inspection, the inspector will advise you on the most appropriate method in which to perform the inspection. This can be dependent on a number of factors, such as the material of the pipe and whether the pipeline is positioned above ground or underground. After a complete overview of the integrity of the piping system, including thickness, design and remaining lifespan, the report will show any maintenance or action that needs to be taken in order to meet relevant inspection codes. Any immediate repairs will be discussed promptly and a detailed report will communicate all other findings. Our technology makes the inspection of inaccessible pipelines possible. 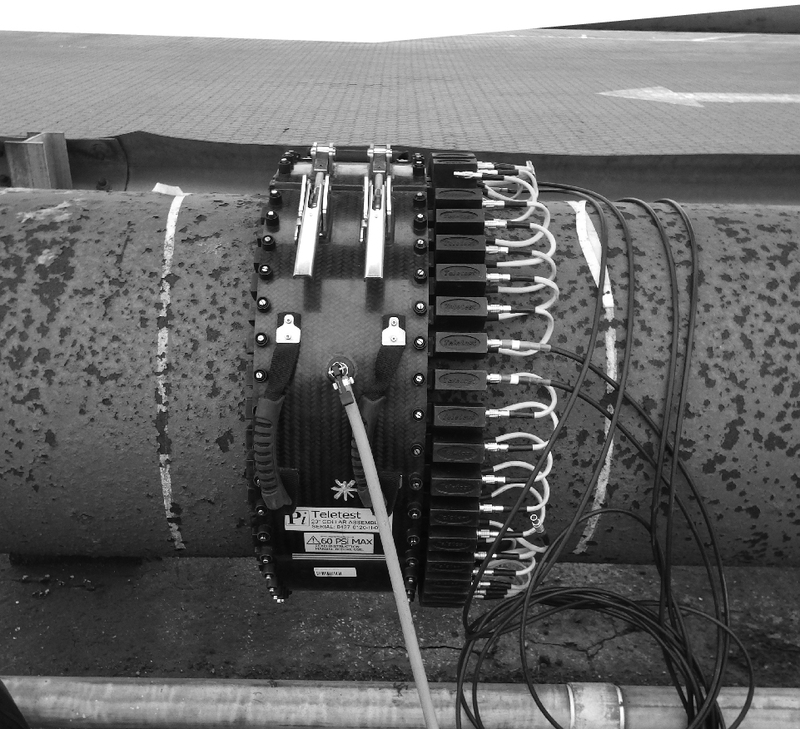 Using the Teletest Focus long range guided wave system, corrosion in pipes and pipelines in areas inaccessible for inspection by conventional NDT methods, can now be detected. This method of inspection also works for insulated and sleeved pipework, either running under roads or elevated on pipe racks. Using Long Range UT to inspect piping means that nothing has to be removed or reinstated, saving clients time, money and potential down time. Imagine if the entire piping system had to be re-insulated and recoated, a much more complex and expensive job. When an anomaly is found, the software can focus a concentrated level of energy around it, giving extra detail about the size and position of the issue. Long range ultrasonic testing can also be used on long lengths of above ground pipework too, greatly reducing the duration of the inspection whilst maximising coverage. When compiling your inspection results, we put together a CAD Isometric Drawing to show you an accurate and detailed image of your entire pipeline. This image is constructed using ultrasonic wave moments during your inspection, and will illustrate important factors such as the thickness of your pipes, any flaws in the design and will help us to locate any corrosion or damaged areas. From these Isometric Drawings, we will be able to provide you with details about the integrity of your system and plan the next steps to ensure that your pipeline meets all relevant standards.